If you are considering purchasing a luxury sedan in Salem, consider a new Mercedes-Benz C-Class. With features like sunroof/moonroof options, SiriusXM® satellite radio, and heated leather seats, you can enjoy all the comfort of a high-end model that Portsmouth drivers have come to expect. 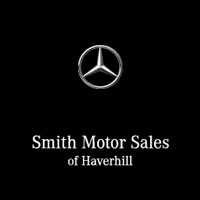 View our C-Class inventory at Smith Motor Sales of Haverhill to find a new Mercedes-Benz for sale that fits your needs, then contact us for a test drive! Why Choose a New Mercedes-Benz C-Class? On top of that, the experts at Edmunds.com have put the older 2008 Mercedes-Benz C 300 Sport through the formidable Long-Term Road Test, concluding that “our C 300 has suffered very little wear over its 21,000 miles” and compared to the 2009 Audi A4 2.0T, they would choose the “C 300’s smooth and authoritative V6 growl any day of the week.” Schedule a test drive to get behind the wheel of a new Mercedes-Benz -Class today! Be sure to check out our guide to leasing vs financing so you can make the best decision for your needs. Take advantage of mbrace® for your next Portsmouth drive!